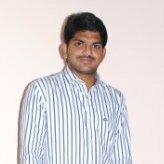 Vikkurthi Manikanta is currently working in Web Sciene Lab and pursuing Mtech in IIIT Bangalore. He has a Bachelor’s degree in Electronics and Communications from Gudlavalleru Engineering College, Gudlavalleru. Prior to joining IIITB he has worked as a Assistant System Engineer in TCS and involved in developing Manage Agreement Modules of Agreement Work Bench and end to end development of Shelf Talker System. He is interested to work on real world problems. His areas of interests include Data Analytics, Machine Learning, Semantic Web, Algorithms and Data Structures. For more, please visit his Linkedin Profile.